At Phone Ninja we offer all the latest LG G4 Repairs, such as Screen Replacements, so drop down to any of our conveniently located stores or contact us through the details given below. What started as a sub version of the Optimus, the Optimus G was the first in a line of flagship Smartphone’s from LG, from the release of the follow up model the”G2″ LG decided to drop Optimus from the name of the phone, and the birth of the “LG G Series” was born. The G4 is the latest iteration of LG Flagship series, now featuring a 5.5″ HD screen with one of the highest resolutions available on a phone (2560×1440), the only down side to such a huge screen is there is more glass to break! But don’t worry we got you covered! Speaking of covers the G4 has a great new rear case options including Leather, Ceramic paint or Metallic. 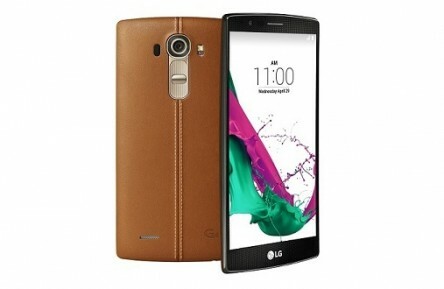 As with other LG G models the Hardware specs are up there with a hexa-core processor, 3GB ram and NFC. No matter the task the G4 has your back, as we do with any repairs.